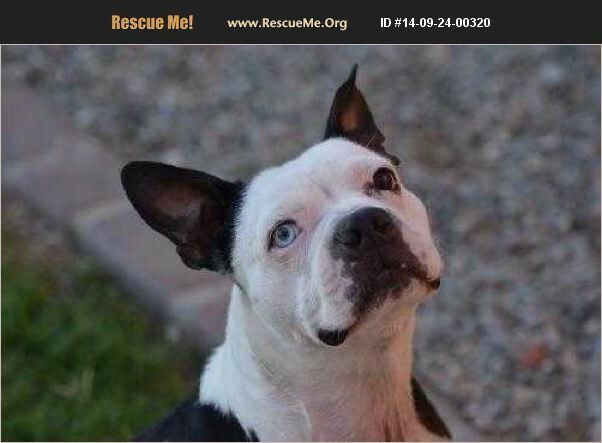 Arizona Boston Terrier Rescue View other Boston Terriers for adoption. APPLICATION & HOME VISIT REQUIRED - For more information, http://www.azbtrescue.org Meet Roscoe. This two year old Boston Terrier was dropped off at the Pinal County Animal Shelter by his family. We aren't sure who could give this guy up, but he isn't holding any grudges, so we aren't either! Roscoe absolutely adores humans and would love to spend his nights curled up at your feet. Other dogs however, are not Roscoe's favorite. He needs to be the only dog in the home and isn't ever going to be a good dog park candidate. We think he just wants to hog all the humans to himself! He can always be counted on for an enthusiastic hello when you get home from work and loves a good belly rub. He enjoys swimming and floating on rafts, chasing after balls in the yard and taking naps in the sun. He is an incredibly sweet and loving soul who has a goofy Boston Terrier personality. He is potty trained, uses the doggy door, is learning basic obedience skills and doing great! Roscoe is healthy, microchipped, neutered, vaccinated and has been patiently waiting to find his forever family.If you are interested in giving Roscoe the second chance he so deserves, please fill out our adoption application right away! Thank you for your interest in rescuing your next pet.